Say GOODBYE to persistent negative thoughts! Positive thinking helps kids avoid anxiety and worry. 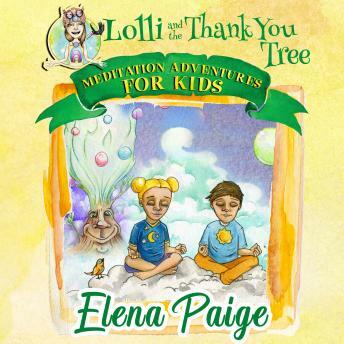 Lolli is an endearing character that guides children into imaginary places encouraging them to think positively while increasing their self-esteem and helping them relax before bedtime. In the second book of the series, Lolli helps kids develop resilience when faced with bullies, make better life choices, and let go of worries, in three separate stories. These stories are perfect for creating a wonderful bed routine with your children. Having let go of their negative thoughts, they will be better able to have a good night's rest. The meditations are designed to boost confidence, increase self-esteem, and improve your child's overall resilience and happiness.